In the hot month of August, Alice and her siblings go to their grandmotherâ€™s summer house. As the days go by, the house becomes a hive of slow straying bodies, as Alice becomes more and more engrained in her grandmotherâ€™s colonial past. InÃªs de Lima Torres was born in 1995 in SetÃºbal, Portugal. She graduated from university at Lisbon School of Theatre and Film, majoring in Cinema, in the branch of Directing in 2017 â€œDe Madrugadaâ€, her graduation film, premiered at IndieLisboa 17â€™ National Competition and was also screened at other festivals such as San SebastiÃ¡n International Film Festival. The protagonists of this project are a group of 40-to 70-year old thieves from the north of Italy called ?I Lupi? the Wolves. The only time they steal is when it`s very foggy. The fog makes everything invisible including them. They rob houses, banks, jewelers, trucks - everything they can profit from. 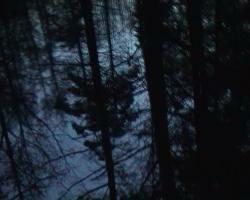 The video `I Lupi` is part of an installation that was made in collaboration with the Wolves. Alberto De Michele (IT,1980) received his education at the Rietveld Academy, Amsterdam, department Audiovisual (1997-2001) and the Sandberg Instituut (Master Degree), Fine Arts, Amsterdam (2001-2004). His work straddles the line between (pulp) fiction and (plain) fact. It involves highlighting an individual, a phenomenon, an experience. His aim is to penetrate into the most expressive part, the core of his chosen subject. De Michele shows himself to be a captivating narrator with an eye for gripping personal stories or penetrating observations, causing intangible and alienating experiences. In the past three years he has mainly been focusing on the world around his father. His was given an upbringing surrounded by thieves, gangsters and gambling addicts, a social environment most people experience as sinister and unsavoury. Since De Michele grew up in this environment and still has one foot in his father`s world, he?s able to communicate easily with the people in it. The artist can build up a bond of trust between them and himself that enables him to explore their lives in a privileged way. 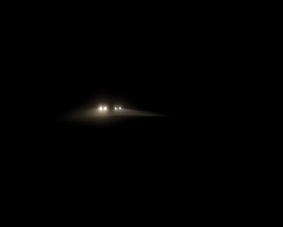 De Michele has participated in several group exhibitions, for example at W139 - Amsterdam, Montevideo - Amsterdam, Kunsthal - Rotterdam, Apexart - New York, The Alternative Film Video - Belgrade. In 2007/08 the artist had a solo exhibition entitled ?Adriano? at the Appel in Amsterdam, an installation about an Italian bank robber who for a period of time was hiding in Amsterdam. From january 2010 Alberto De Michele will be a resident artist at the Rijksakademie, Amsterdam. ?Nouvelle Science Vague Fiction? focuses on the relationship between construction and analysis of human ecologies. This raises as a syntactic space in which connections are made between analytic situations and scientific perception (verisimilitude scales), non-experiential learning derived from technological imaginary (estrangement and projection) and levels of configuration of ideal and critical conscience (new orientation forms). An off-screen voice in the position of a ?super observer? guides us through various possible ends of the world, in a markedly objective tone; leaving these apocalyptical prophecies behind, it concludes with some irony on the spectator?s role and the meaning of those events and images, that nobody will ever be able to contemplate. The soundtrack is made in collaboration with the musician Jonathan Saldanha from sound recordings of the black hole Sagitarius A*, located in the centre of the Milky Way, captured by the Dwingeloo Radio Telescope in the Netherlands. The composition has been transferred to vinyl disc which is imaged by a scanning electron microscope with a magnification of ten thousand times, giving rise to a landscape impossible to perceive by simple view. Regina de Miguel, Málaga, Spain, 1977. Artist and cultural producer. This work tries to delve into the production of hybrid objects and knowledge, by means of an extensive field work with the collaboration of experts in many different areas whose research methods include the use of concepts such as the invisibility or the difficulty of the parameters that characterize their search, as well as the negotiations with the territory, taking the dark matter as a metaphor and thread of this story. Let?s just say that the aim is to make up a story or scientific historiography which, in some of its particularities, transforms into more general stories based in the specific characteristics of a physical and political territory that becomes an exceptional parameter for the study of specific problems. "The supposed neutrality of geographical knowledges has at best proven to be a beguiling fiction and at worst a downright fraud. Geographical knowledges have always internalized strong ideological content. In its scientific (predominantly positivist) forms, natural and social phenomena are represented objectively as things, subject to manipulation, management and exploitation by dominant forces of capital and the state". Spaces of Capital: Towards a Critical Geography, David Harvey. In this scientific forms, eventuality considered as a possibility or risk of change, fact or unexpected problems is presented as a fundamental concept at facing the reading and rewriting of facts before a ?mathematization? of the Universe. The documentary filmed in Chile, in the Atacama desert, the most arid in the World, shows how this landscape and the extreme life conditions in it substantially affect the work carried out there by some scientists. Both recent and past history of this territory are present in the activities and reports elaborated by the scientists, making up a unique paradigm to investigate and rethink the relationship between policies, contexts and knowledge produced within them. This choral story includes people (archaeologist, anthropologists, natives, engineers, astrophysicists, cosmologists, etc) as well as landscapes in which their activities are carried out (an archaeological museum in Arica, in the Peru-Bolivia border, an experimental station in a territory recently revealed to science -Alto Patache-, the Chuquicamata copper mine, the Paranal astronomic observatory (ESO), ... and archaeological ruins arisen from industrial development: old mining cities abandoned in the desert, cemeteries of ancient dwellers of those settlements, etc. The change in the cosmological model emerged from the studies of dark matter and energy plays the role of an allegory and a mental image of the need of change in the archetype used when dealing with the production of knowledge, orders and paradigms, all of which are apparently intact. Artist and cultural producer. Regina?s work develops connections between situations of scientific analysis and perception as objective knowledge, (scales of verisimilitude), non-experiential learning as derived from the technological imagination, (estrangement and projection), and levels of development of the ideal and critical consciousness, (new means of orientation). Part of her production has dealt primarily with the strategies of the formation of desire, crises in subjective meaning, and the visualization of the psychological landscape as a form of map making. In the same vein, she also analyzes the speculative transfer in scientific and cultural learning tools. Her work has been shown at institutions as Palais de Tokio (Paris), Haus der Kulturen der Welt (Berlin), Gaswork (London), Fundación Telefónica (Santiago de Chile), Artium y Montehermoso (Vitoria), La Panera (Lleida), Can Felipa (Barcelona), Musac (León), La casa Encendida (Madrid), Manifesta (Murcia), CGAC (Santiago de Compostela) y Matadero (Madrid). It has also been shown in independent spaces as Atelierhof Kreuzberg, General Public, Reh Kunst, Altes Finanzamt (Berlin) and Le Commissariat (Paris). ?Parole à la femme? is a radio broadcast in Togo devoted to women. It lasts less than ten minutes. At first, a cereal retailer in a market is invited to speak. She tells about her economic calculations and about the market relationship in African villages. The next participant after her is a female diet adviser. I chose to transmit this broadcast because of the eloquence of the various participants, but overall because it was one of the rare attempts I witnessed of giving women in Africa the chance to speak, of paying attention to those who spend their entire days carrying heavy weights, cooking and taking care of their many babies or young children. Eléonore de Montesquiou (1970, Paris, France, Franco-Estonian artist) her work revolves around the articulation between private and official histories, personal and national identities. It tackles the intricacies and ambiguities of living in the margins, based on her personal experience of uprootedness. Eléonore primarily working with video, she tapes testimonies, creating prosthetic memories of repressed histories. In her documentary-informed works, her camera becomes the voice of these voiceless people. Her work is based on a documentary approach, translated in films, drawings and texts, it deals mainly with issues of integration/immigration/meaning of a nation in Estonia, giving voice to the Russian community. RADIOTEHNIKA 20 min. 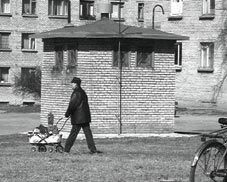 b&w Riga, 2011 Russian with English subtitles Credits: Camera and editing: Eléonore de Montesquiou Sound by PHONIC PSYCHOMIMESIS With GALINA TRAUMANE, AUSMA SMILTNIECE and MIKHAIL BOGDANOV original language: Russian with English subtitles "Radiotehnika" is a film about the last units in a radio factory in Riga. It is also a film about a woman engineer who was working there years ago. She tells about that time, the Soviet Time and its social organisation with the factory. I was intrigued by her career and how, as a woman, she chose to study engineering. Eléonore de Montesquiou (1970, Paris, France) is a Franco-Estonian artist. Her work revolves around the articulation between private and official histories, personal and national identities. It tackles the intricacies and ambiguities of living in the margins, based on her personal experience of uprootedness. Eléonore primarily working with video, she tapes testimonies, creating prosthetic memories of repressed histories. In her documentary-informed works, her camera becomes the voice of these voiceless people. Her work is based on a documentary approach, translated in films, drawings and texts, it deals mainly with issues of integration/immigration/meaning of a nation in Estonia, giving voice to the Russian community. Sasha est pêcheur. L?hiver, il pêche sur la glace, sur les rivières ou les lacs gelés à la frontière entre l?Estonie et la Russie. C?est une passion commune aux pêcheurs qui la pratiquent en groupe ou seuls pour s?isoler de leur famille, des villes, s?éloigner du quotidien. Sasha est depuis toujours sur la frontière, né à Narva (Estonie), il a grandi de l?autre côté du pont, à Ivangorod (Russie). Aujourd?hui, Sasha a 28 ans, il travaillait à l?usine de Kreenholm, à Narva. L?usine en failite, il a reçu une formation de conducteur de bus. Tous les jours il passe la frontière à pied. Le week-end, il sort en boîte à Saint Pétersbourg l?été et va pêcher l?hiver. Sasha a un passeport estonien et un passeport interne russe. Il parle russe, mais pas un mot d?estonien. Il dit ne vouloir vivre ni en Estonie, ni en Russie, mais dans cet entre-deux qu?est Narva-Ivangorod. Mon film est un moment en suspension dans cet entre deux qu?est le lac gelé entre la Russie et l?Estonie. J?ai accompagné Sasha l?hiver dernier sur la glace, et l?ai filmé. J?ai recueilli ses propos, quelques mots, son activité de pêcheur, ses sentiments quant à sa situation très singulière: que cela signifie-t-il de vivre sur une frontière à la limite de l?Europe? Comment s?organise-t-il pour la pêche dans ces conditions de froid extrême? Peu de paroles, le son du film est composé par Tanja Kozlova, la compositrice avec laquelle j?ai réalisé mon dernier film ?Sillamäe?. Tallinn, Estonie 2005-2008 À l?époque soviétique, la péninsule de Paljassaare était utilisée comme base militaire, à l?accès interdit. De 1991 à 2006, cette zone était fréquentée par les Russes de Tallinn exclusivement. Depuis l?été 2006, la plage et les alentours sont en cours d?aménagement. À cinq minutes du centre historique de Tallinn, la péninsule est en effet un lieu de tout premier choix pour les investisseurs immobiliers. La plage a été nettoyée, un parking délimité, les stands de frites et de glaces voisinent avec les patrouilles de surveillance. En 2005 et 2006, j?ai filmé la plage de Paljassaare. Ces images font l?objet du film ?Paljassaare? dont le son fut composé par Lembe Lokk. En 2007, j?ai commencé à photographier les signes de changement. Le projet inclut donc un film et une dizaine de photographies en couleurs. Il sera accompagné d?une affiche associant les images de la plage et un texte de Triin Ojari. Triin Ojari - éditrice de la revue d?architecture ?Maja? - fait le point sur les projets immobiliers en cours à Paljassaare. L?affiche est une collaboration avec le graphiste Aadam Kaarma. Eléonore de Montesquiou est née en 1970. Elle vit et travaille à Berlin. Les vidéos d'Eléonore de Montesquiou explorent les identités et les frontières, avec un vocabulaire formel minimal et une esthétique onirique. L'artiste, ayant vécu longtemps en Autriche, en Estonie en en Allemagne, se situe constamment entre deux langues, deux cultures, deux générations, deux histoires. Elle interviewe les habitants de zones frontalières, d?entre-deux urbains, de villes oubliées, et assemble leurs témoignages de manière sensible. Ses vidéos, d'une poésie subtile, font preuve d?un véritable amour pour les personnes interviewées et d?une singulière attention pour les étranges histoires du quotidien. A short film about children, their games, their violence, their tenderness, in a never ending spirale, switching from an extreme to another. En s?appuyant sur une pratique documentaire constituée principalement d?interviews et de films, Eléonore de Montesquiou recueille histoires et descriptions personnelles qu?elle fait ensuite exister sur le mode fictionnel tout en restant au plus près de la sphère intime ou de la vie sociale dans ses aspects les plus habituels. Le " Je " n?est pas celui de l?artiste, ni même celui des personnes qui se livrent à son écoute, mais le " je " métissé, mixé, dont le timbre abstrait et collectif résonne pourtant d?une manière étrangement proche de notre propre voix. Textes, photographies, installations, vidéo, films font preuve du même regard sans complaisance sur les êtres et d?une analyse précise et sensible de l?espace relationnel. Eléonore de Montesquiou est née en 1970. Elle vit et travaille à Berlin. Les vidéos d'Eléonore de Montesquiou explorent les identités et les frontières, avec un vocabulaire formel minimal et une esthétique onirique. L'artiste, ayant vécu longtemps en Autriche, Estonie, Allemagne, se situe constamment entre deux langues, deux cultures, deux générations, deux histoires. Elle interviewe les habitants de zones frontalières, d?entre-deux urbains, de villes oubliées, et assemble leurs témoignages de manière sensible. Ses vidéos, d'une poésie subtile, font preuve d?un véritable amour pour les personnes interviewées et d?une singulière attention pour les étranges histoires du quotidien. À l?époque soviétique, de 1944 à 1991, Sillamäe fut une ville close construite à des fins de recherche nucléaire: installer scientifiques et ouvriers travaillant à l?extraction d?uranium. Sillamäe était une ville fermée, même aux Estoniens, elle avait un nom de code et ne figurait pas sur les cartes géographiques volontairement faussées. Depuis l?indépendance de l?Estonie, cette ex-ville atomique est confrontée à de nouvelles orientations, elle s?est ouverte à l?économie capitaliste, l?usine fut fermée, la raison d?être-même de la ville disparut. La population russophone, plus de 95% des habitants de Sillamäe avant citoyens de la vaste Union Soviétique, constitue aujourd'hui une minorité plus ou moins bien intégrée dans la vie du pays. Eléonore de Montesquiou, artiste française née en 1970 (vit et travaille à Berlin). Les vidéos d`Eléonore de Montesquiou explorent les identités et les frontières, avec un vocabulaire formel minimal et une esthétique onirique. L`artiste, ayant vécu longtemps en Autriche, Estonie, Allemagne, se situe constamment entre deux langues, deux cultures, deux générations, deux histoires. Elle interviewe les habitants de zones frontalières, d?entre-deux urbains, de villes oubliées, et assemble leurs témoignages de manière sensible. Ses vidéos, d`une poésie subtile, font preuve d?un véritable amour pour les personnes interviewées et d?une singulière attention pour les étranges histoires du quotidien. Au Brésil, les telenovelas sont très populaires, omniprésentes. J?ai filmé les regards de jeunes garçons regardant la télévision, à Atins, un village près de Sao Luis. Eléonore de Montesquiou est née en 1970 à Paris, elle vit à Berlin et Tallinn. Elle travaille depuis 1998 avec la Galerie Zürcher à Paris. Son travail est basé sur une approche documentaire de la réalité, traduite en films (vidéos) dessins et textes. Ses précédents projets traitaient du symbolisme de la robe de mariée Robes (1998, France), de la relation d?une femme à la maternité: Swing, ma demeure (2003, Paris-Berlin) à la relation à sa maison Minu maja on minu maa (2001, Estonie) et Par exemple, Ebenthal (2004, Autriche). Avec Olga Olga Helena (2005, St-Pétersbourg), Eléonore de Montesquiou questionne le départ de réfugiés politiques et leur vie en exil. Pendant l?année 2005, Eléonore de Montesquiou est en résidence à Tallinn, réalisant ATOM CITIES, un projet documentaire sur l?ex-ville soviétique close pour recherche nucléaire de Sillamäe, une ville habitée exclusivement par des russes, la plus forte minorité en Estonie. Challenging traditional documentary practices with experimental approaches to editing and sound, GIVE explores Roland Gordon’s motivations to create a monumental visual archive displaying centuries of black agency and achievements, in the United States and beyond. Roland’s collage, "The Cloud of Witnesses", is comprised of thousands of photographic portraits,newspapers, and magazines cutouts, presenting an alternative visual history to empower the black community. The film explores collective representations of history, memory, and culture; where pasts, presents, and futures are modeled by the blending of imagination, facts, and love. Born in Southern Europe, David de Rozas is a filmmaker and artist based in California, US. His interests relate to the politics of history, memory, and identity through a range of mediums and formats. His practice combines audiovisual research, film production, and curatorial projects. These include art center displays and program strategies, lectures, film programs, documentaries, written and film essays, and other forms and sites of knowledge production. David earned an MFA in Cinema at the San Francisco State University, and BA in Fine Arts from the Complutense University in Madrid. His projects have been recently screened and displayed at the Winnipeg Underground Film Festival, SOMARTS, UCLA, CSU Media Arts Festival, FLEXfest, Artist’s Television Access, Southern Exposure, and the Prelinguer Library among others. He is currently lecturer at SFSU School of Cinema. The Arab-Italian boy Zakaria meets a namesake during prayer preparations. The third part in a series about alternative cultures in Italy focuses on the language and culture lessons of the Arabic boy Zakaria. Gianluca and Massimiliano De Serio, born in Turin, 1978, are twins. Since 1999 they have made several shorts, including Maria Jesus (2003), Mio fratello Yang (2004), and Zakaria (2005), which have appeared in a number of international festivals and won several prizes: Candidates at the European Academy Awards 2006, three Silver Nasters for Best Italian Short Film, Best European Short Film at Biennial of Stuttgart, and Candidates of the David of Donatello, awarded in Oberhausen, Huesca, Edinburgh, Turin, Siena, Belo Horizonte. At the same time they have had intense activity in art exhibitions: T1, Turin Triennial, Fondazione Merz; Fondazione Olivetti, Roma; Galleria Civica di Trento; Maison Rouge, Parigi, etc. Nous avons demandé à une dame, Maria, qui travaille à la campagne comme paysanne, de raconter la morte de notre grandmère, mais en première personne (comme si elle racontait sa propre mort). Notre grandmère, ouvrière à la campagne du sud italie, est morte à 33 ans, après un avortement spontané et pendant le travail. Elle était communiste, mais aussi chretienne. Il était le 14 mai 1958. Massimiliano et Gianluca De Serio. Nés le 15/12/1978, à Turin. Ils travaillent ensemble depuis 1999. Susana de Sousa Dias was born in Lisbon, Portugal. She holds a PhD in Fine Arts/ Video, an MPhil in Aesthetics and Art Philosophy, a BA in Fine Arts-Painting, and a BA in Cinema. She studied music at the National Conservatory. Chaque image en cache toujours une autre. Utilisant seulement des images d'archives sans mots, "Still Life" (« Nature morte ») tend à redécouvrir et fouiller dans l'opacité des images produites durant les 48 ans de la dictature Portugaise de 1926à 1974. Les informations, images de guerre, documentaires de propagande, photos de prisonniers politiques mais aussi des rushes encore jamais montrés auparavant sont mobilisés afin de nourrir de nouvelles interprétations. Née à Lisbonne en 1962. A fini une thèse en Esthétique & Philosophie de l'Art ( à l'Université de Lisbonne). Diplôme Universitaire en Peinture (Faculté des Beaux-Arts de Lisbonne) et en Cinéma ( à l'École Nationale du Théâtre et du Cinéma). Étudia la Musique au Conservatoire National de Musique. Conférencière à l'Université des Beaux-Arts de Lisbonne. A fondé en 2001 la compagnie de Production KINTOP. Qu`est-ce que la photographies d`un visage peut révéler d`un sytème politique? Qu`est-ce qu`une image, prise il ya plus de 35 ans, peut nous dire sur notre actualité? En s`appuyant sur un ensemble de photographies du casier judiciaire de prisonniers politiques sous la dictature portugaise (1926-1974), le film tente de montrer les mécanismes au travers desquels un système autoritaire tenta de s`auto-perpétuer. Réalisatrice, enseignante à la Faculté de Beaux-Arts (Université de Lisbonne) et membre du CIEAM, Centre de Recherche en Art et Multimédia de l?Université de Lisbonne. Doctorante en Esthétique, Sciences et Technologies de l?Art (Université Paris VIII) et en Beaux-Arts (Université de Lisbonne), elle est Mestre en Esthétique et Philosophie de l?Art, titulaire d?une maîtrise en Arts Plastiques/Peinture (Université de Lisbonne) et d?une licence en Cinéma (École Supérieure de Théâtre et le Cinéma). Elle a fait des études musicales à l?École de Musique du Conservatoire National (Lisbonne). Susana de Sousa Dias est souvent invité à collaborer en plusieurs actions sur art et cinéma dans des institutions d?enseignement supérieur et dans des festivals nationaux et internationaux de cinéma. Actuellement elle développe un travail de recherche dans le domaine des relations entre cinéma, photographie et art contemporain, et entre image en mouvement et image fixe, avec spéciale incidence sur l?image d?archive. Son precedent film, Nature Morte-Visages d?une Dictature a été présenté dans des festivals dans les cinq continents (Prix Atalanta Filmes, DocLisboa 2005 et "Merit Prize", Taiwan International Documentary Festival 2006). 48 est son dernier film (Grand Prix, Cinéma du Réel 2010 ; FIPRESCI Prix, DokLeipzig 2010 ; OPUS BONUM Best World Documentary Award, Jihlava Film Festival 2010). Lumière Obscure et Stillleben (installation sur trois écrans) sont les ?uvres actuellement en cours. In one long shot this adaptation of La Mamma Fricchettona, a monologue by Nobel Prize winner Dario Fo, shows Viviane De Muynck in a humorous elucidation of a woman? s odyssey from doting motherhood to a state of independence whilst addressing an invisible and anonymous man. 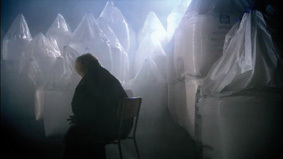 In an ambiance of a warehouse filled with white sacks the protagonist vociferously relates her non-existent relationship to husband and child and her escape to the alternative underground of squatters and punks, who are more of a family to her than her own brood. She starts her career as a performance artist; beginning the 1980ies she performs on the podia of the trendy club circuit and the alternative art spaces with sound work, live installations and `noise` performances. Afterwards she returns to painting and works for two years at the Rijksakademie van Beeldende Kunst in Amsterdam (1993-1995). As from that time film is her medium. The work that she develops since then is shown worldwide in museums and art spaces, the theatre, the public space and especially the cinema. Her short films are: SSST?, Roses and Fall, Just a Minute Yoko, The Second Memory, The Barren Land, Another Another and A Breath Hush. `Cold` is her first feature film (in production 2009). The last days of a swimming pool, just before the demolition. Regular visitors are isolated by mysterious encounters, nowhere to be seen in the film. 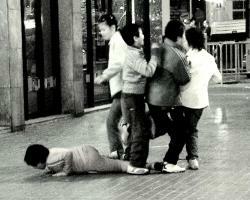 We see the decline of a social meeting place unfold in sequential patterns. Without dramatic event, no music, no dialogue, this film is in relation with the `minimal` art cinema. ... A man walks through the hallways past lockers and cubicles. A boy plays in one of the lockers. A girl walks into a dressing room, opens the door, but does not enter. A boy walks past the grandstand where a young woman stares into the water. A woman swims her baby to the edge of the pool. The building is filled with sounds: water, machinery, leaking outside noise like the sound of emptiness. And old man steps off the high dive ... We come to know anything about the people we `follow` or meet. Everyone seems calm and happened to come by. It derives the film its quality as stylized documentary observation or film essay. Yet there is turmoil and tangible threat. Bea de Visser works as a autonomous visual artist and filmmaker. She started her career in the early 1980-s; she works as a sound and performance artist in the trendy club scene and artists spaces. Today, her work is shown at international exhibitions, her movies shown at international film festivals worldwide. Bea de Visser manages to present the independent production studio Anotherfilm. In the recent past Anotherfilm has become an initiative that participates in hard to realize projects of a small group of artists and filmmakers. Since 2010 Bea de Visser works as guest advisor at Rijksakademie van Beeldende Kunst in Amsterdam. She is art consultant of the Collection Lievensberg in Bergen op Zoom. Occasionally she gives workshops and lectures at home and abroad in various disciplines such as film, scenario, drama, visual arts and theater design. Her films include: Mama Superfreak (2009), Roses and Fall (2006), Just a Minute Yoko (2004), The Second Memory (2004), The Barren Land (2001), Another Another (1999), A Breath Hush (1996). Besides she made music videos, films for theatre design and wrote scenarios for feature film projects. Ce projet essaie de construire une métaphore visuelle pour repenser le concept de conflit qui sous-tend toute forme de relation humaine, et également d?étudier la violence de notre société contemporaine comme un spectacle organisé de médias de masse. L?auteur a observé combien les sports de contact et d?autres sortes d?arts martiaux brutaux se sont récemment développés ces derniers temps. Parmi eux, le dénommé « Extreme Fighting », où deux adversaires se battent dans le ring sans presque aucune limite, utilisant un mélange de divers arts martiaux. L? ?uvre s?intéresse à la relation entre les mécanismes de transmission du savoir à la fois dans les arts martiaux et à l?université, en faisant le rapprochement entre la compétitivité qui y est enseignée et l?art de tuer ce qui est différent de soi? Guzmán de Yarza Blache est né à Saragosse (Espagne) en 1976 et est diplômé en architecture à l?Université de Navarre (Espagne). Après avoir travaillé au cabinet d?architectes d?Andrea Perea, à Madrid, il fonde J1 Architects en 2002, un cabinet basé à Madrid qui réalise et dirige des projets dans différentes régions d?Espagne. Parallèlement, il poursuit une carrière d?artiste vidéaste, dans une approche interdisciplinaire qui, selon ses propres mots, enrichit ses deux activités et permet un dialogue entre leurs sensibilités en espérant, d?une manière ou d?une autre, illuminer notre perception de la condition humaine. Ses intérêts, en tant qu?artiste, sont fondamentalement liés à l?art de dépeindre et décrire la société contemporaine, c?est pourquoi il réalise des ?uvres d?art publiques et des productions proches du documentaire, qui posent un large spectre de questions, à une échelle aussi bien très intime que nationale ou transnationale, en faisant constamment référence à l?architecture et l?urbanisme et à la manière dont ils affectent significativement notre vie. Guzman DE YARZA est architecte à l'université de Navarre en espagne. Apres avoir travaillé à Madrid, chez Andres Perea Office of Architecture, il crée J1 Architects in 2002, une entreprise qui dirige plusieurs travaux à travers l'espagne. Simultanément, il développe une carrière en tant qu'artiste vidéo avec une mixture disciplinaire qui enrichie et permet une échange de sensibilité qui éventuellement essaye d'illuminer notre perception de la condition humaine. Ses intérêts en tant qu'artiste sont liés au portrait et à la description de notre société contemporaine. Pour cela il exécute des performance artistiques publiques et des productions documentaires qui posent des question sur une variété de choses allant d'une échelle très intime jusqu a une échelle nationale ou bien transnationale avec des référence constantes à l'urbanisme et l'architecture et la manière dont elles affectent dramatiquement nos vies. Volva est le nom que Johannes Kepler a donné à la Terre, vue de l’espace, dans son texte « Somnium » considéré comme le premier ouvrage de science-fiction . Les observatoires étudient un passé lointain, suspendus dans un temps indéterminé, sans à peine faire attention à leur entourage. Centré sur l’observatoire du Pic du Midi, tourné en 16mm, Volva réfléchit aux rapports espace-temps qui s’établissent entre architecture, science et paysage. Suivant une chronologie solaire, les machines filmées tentent de capter un environnement proche ainsi qu’une série d’ondes semblant provenir des montagnes. L’absence de forme humaine laisse penser à un lieu contrôlé artificiellement. Les plans, entre intérieurs et extérieurs, conduisent le lieux à se confronter à un espace-temps parallèle d’où il semblerait provenir. Un nouveau territoire apparait alors entre l’architecture et le paysage qui l’entoure. Le film est construit dans le possible mouvement de cet espace qui se déplacerait dans divers temps à la fois, passé - présent - futur, et divers lieu, hors et sur Terre. En associant des représentations du réel, Volva vient explorer le rôle de l’image dans l«Transformant la recherche en une exploration du territoire à la première personne, Édouard Decam bâtit une méthodologie du vécu (…) le voyage est lié à un enracinement transitoire dans ces lieux où l’architecture est la partie essentielle d’un environnement qui ne peut être compris sans elle et où l’on a besoin du temps nécessaire pour comprendre l’espace.» Sonia Fernández Pan Édouard Decam est architecte de formation. Il collabore dans diverses agences entre la France et l’Espagne avant de se consacrer exclusivement à sa pratique artistique. En 2006 il est lauréat de la bourse de la Fondation EDF pour les jeunes architectes et réalise le projet photographique « Landscape scale » qui marquera la direction de ses futures recherches. Ses travaux, entre photographies, volumes construits et films, questionnent l’architecture, la science et le paysage. Ses recherches servent à construire la part impalpable de notre relation au naturel. Il s’inscrit dans une démarche d’identification des limites, des zones de contact entre l’espace et le temps, qui constituent des territoires. Aide à la création, résident de la Casa de Velázquez puis du Matadero Madrid, ses travaux ont été exposés en Europe et aux Etats-Unis. Il vit et travaille actuellement entre Bordeaux et Barcelone. «Transformant la recherche en une exploration du territoire à la première personne, Édouard Decam bâtit une méthodologie du vécu (…) le voyage est lié à un enracinement transitoire dans ces lieux où l`architecture est la partie essentielle d’un environnement qui ne peut être compris sans elle et où l’on a besoin du temps nécessaire pour comprendre l`espace.» Sonia Fernández Pan Édouard Decam est architecte de formation. Il collabore dans diverses agences entre la France et l’Espagne avant de se consacrer exclusivement à sa pratique artistique. En 2006 il est lauréat de la bourse de la Fondation EDF pour les jeunes architectes et réalise le projet photographique « Landscape scale » qui marquera la direction de ses futures recherches. Ses travaux, entre photographies, volumes construits et films, questionnent l’architecture, la science et le paysage. Ses recherches servent à construire la part impalpable de notre relation au naturel. Il s’inscrit dans une démarche d’identification des limites, des zones de contact entre l’espace et le temps, qui constituent des territoires. Aide à la création, résident de la Casa de Velázquez puis du Matadero Madrid, ses travaux ont été exposés en Europe et aux Etats-Unis. Il vit et travaille actuellement entre Bordeaux et Barcelone. A l?occasion de ce travail, "Protection Civile", les deux artistes sont allés explorer les abris antiatomiques suisses. Le pays regorge d?abris souterrains et chaque individu y a une place. Qu?ils soient individuels ou collectifs, allant de la cave particulière aux immenses abris médicalisés, ils répondent tous à une organisation stricte et efficace. Le film interroge alors une éventuelle présence sous terre, les limites de la cohabitation, la promiscuité et les inévitables problèmes d?organisation que soulève un tel plan de protection. Sous forme panoptique et systématique, apparaissent tour à tour des dortoirs, cuisines, blocs opératoires, sanitaires et matériel d?urgence. Cependant, dans certains de ces espaces, s?opèrent des mutations, des changements d?affectation ou d?utilisation. Ainsi, certains abris peuvent servir de lieux de stockage hétéroclites qui peuvent parfois prendre un aspect incongru... Les artistes témoignent à travers ce film du patrimoine architectural singulier et unique de la Suisse. Protection civile apparaît comme la suite logique du premier film coréalisé par les deux artistes, Plan iode. En explorant les arrières boutiques de pharmacies, les artistes examinaient le système prévu pour la distribution de l?iodure de potassium, médicament vital en cas d?attaque nucléaire. Alain Declercq est un artiste français, né à Moulin en 1969, Moulin. Il vit et travaille à Paris, son travail est exposé depuis 1996. 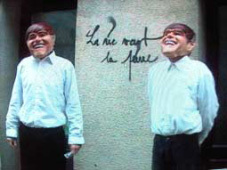 Il est représenté en France par la Galerie Hervé Loevenbruck à Paris, et en Belgique par Élaine Levy Project Gallery (Bruxelles). Jeanne Susplugas est une artiste française, née à Montpellier en 1974. Elle vit et travaille à Paris. Elle est représentée à Paris par la JamoisArtPartners Gallery, à Bruxelles par la Charles de Jonghe Gallery, à Copenhague par la Poulsen Gallery et à Tokyo par la Mizuma Art Gallery. En Suisse, plus de trois-mille bunkers ont été construits entre 1882 et 1995. En 1914, l?aviation entre pour la première fois dans l?histoire d?un conflit armé et engendre des changements de stratégies : il devient nécessaire de se cacher, c?est la naissance du camouflage. Les ouvrages militaires suisses ont été camouflés par d?étonnantes décorations, si bien intégrés au paysage que personne ne les remarque: du sapin métallique de Fort Pré-Giroud (Vallorbe) au porte rocher de Gütsch (Uri). Cette singulière architecture témoigne de la neutralité Suisse et questionne la relation entre architecture et paysage. Aujourd?hui, la plupart de ces fortins sont désaffectés et posent la question du devenir de cet important patrimoine. De la vidéo à la photographie, de l?installation au dessin, Jeanne Susplugas évolue dans un univers aussi séduisant qu?inquiétant avec comme préoccupations principales nos addictions. Elle crée des espaces pénétrables, des « maisons » qui questionnent le spectateur sur des comportement sociaux et intimes. Susplugas est représentée par la galerie Valérie Bach (Bruxelles), Mizuma Art Gallery (Tokyo) et Rewind (New York). Alain Declercq explore les différentes structures du pouvoir et les oppressions qu`elles engendrent - schizophrénie sécuritaire, surveillance, manipulations médiatiques. Sa technique de l`inversion transforme Declercq en chasseur d`indices, provocateur de dysfonctionnements, renverseur de situations ou empêcheur de tourner en rond. Declercq est représenté par les galeries Elaine Lévy (Bruxelles) et Loevenbruck (Paris). 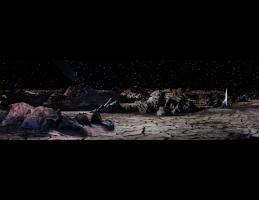 Moonscape est un panorama continuel en boucle, fait en recousant digitalement les fonds peints de nombreux films de science-fiction des années 50. Ces films se projetaient vers le futur - cependant créaient leurs effets futuristes en revenant aux racines cinématographiques. 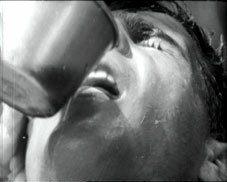 Ils étaient filmés en cinémascope, à l'époque technologie de pointe, pourtant leurs formats et l'usage de paysages peints à la main remontent aux panoramas du 19eme siècle. "Moonscape", en mélangeant la peinture, le celluloïd et les pixels, continue cet esprit de simultanément regarder vers le passé et le futur. Dans les années cinquante, ces paysages devaient être imaginés, et pourtant ils contenaient des détails scientifiques d'une société à la limite du voyage spatial. Les fonds peints à la main mélangés avec de l'imagerie faite à l'objectif, de la fantaisie mélangée avec des faits scientifiques, quand les peintures imaginées deviennent infusées d'un effet de réalité. De voir ces paysages maintenant, après que l'aire de l'exploration lunaire semble être venue et révolue, l'optimisme de pionnier (démontré par l'usage de Technicolor et de Panavision) ouvre le chemin à un point de vue plus désolé et sans directions. Ce panorama montre un monde suspendu et distant, comme enfermé hors de notre monde et du temps. Des cosmonautes distants et fantasmagoriques semblent isolés et sans but, tombés dans l'oubli d'un paysage futur imaginé de celluloïd et de peinture qui est devenu réalité et qui seulement maintenant nous revient en mémoire. Jason Dee is a graduate from Glasgow School of Art`s MFA programme. He continues to live in the city, working on his art practice while occasionally teaching New Media skills and lecturing at the Art School. His work has been exhibited and screened at venues throughout Europe and the USA. Un couple sur une barque est pris dans une boucle sans fin. Ils semblent prisonniers par le mécanisme du film lui-même. Dans cette répétition transforme l'homme en automate, et donne à la femme une allure fantômatique. Les acteurs, ou plutôt leurs images sont prises dans un été d'entre-deux, entre passé et présent, mouvement et suspen, vie et mort. Jason Dee studied photography at Northumbria University and completed a Masters in Fine Art at Glasgow School of Art. His current art practice investigates connections between modern media from the mid 19th century to the present day. He uses digital software to alter film scenes originally shot on celluloid, assessing how new media has reconfigured and re-contextualised the way we perceive 20th century cinema. His work has been exhibited in Europe and the United States. Dee is currently undertaking a year long new-media residency at the University of Abertay funded by the Scottish Arts Council. He lives in Dundee, Scotland. Olivier Degorce & Christophe Griseau sont nés à Niort, France. Ils vivent et travaillent à Paris et près de l`Atlantique. Au gré de ses collaborations, on retrouve Olivier DEGORCE sous différents pseudos : M&M?S, OBSESSION 27, NOWHERE, ou encore WHAT?S FOR DINNER. Sa production polymorphe associe la vidéo, la musique électronique, la photographie, et l?écriture. Il revendique une approche ludique, touche-à-tout, iconoclaste et un certain militantisme. Les thématiques récurrentes qui traversent sa pratique et constituent des sources d?inspiration sont aussi variées que les médias qu`il utilise : l?environnement, la question de la célébrité, les sociétés d?opulence, les fléaux planétaires, etc? Ses installations photographiques ont été exposées à Paris [ American Center, Passage de Retz, Centre Georges Pompidou...], à l`étranger [Nikolai Comtemporary Art Center de Copenhague, Traders Pop Gallery à Maastricht, Speak For Gallery à Tokyo] et dans plusieurs galeries de province [Confort Moderne de Poitiers, C.A.P.C de Bordeaux , Le rectangle à Lyon...]. Dès 1988, M&M`S a été partie prenante de la scène électronique française. En 1998, il a publié l?ouvrage de référence sur la culture DJ, « NORMAL PEOPLE » compilant 180 portraits photographiques de Dj`s français et internationaux (Crash Editions). Ses productions musicales ont été signées sur des labels tels que TEKNOTIKA ? Detroit / USA, MENTAL GROOVE Records?Genève /Suisse SKAM Records-Manschester/UK MAZZO Music (Pays-Bas), B-Cool (Japon), Sony France, BMG?.. En 2004 et 2005, il se consacre notamment, avec Christophe Griseau, à la réalisation d`une série de vidéos illustrant leur pièce sonore : OBSESSION 27 "In the World of Opulence" Ce projet est réalisé avec le soutien de la DRAC Ile-de-France. *Articles et textes engagés avec Amandine Geers sur l`alimentation et l?écologie pour le magazine CRASH / Paris, pour lequel il a été également photographe. `Her Fanciful Digression` imagines a meeting between 19th Century Irish feminist Anna Doyle Wheeler and English landscape painter John Constable. It is set in Hatfield Forest, formerly The Houblon Estate, in South East England. Two apprentice romantics dressed in period costume repeatedly walk through the vistas of the landscape as the film`s voice over talks about the events that contribute to Constable and Wheeler`s meeting. The film considers the aesthetics of romanticism within the context of cultural, political and economic changes of the time and the application of those aesthetics in film now. Michelle Deignan`s is an artist and filmmaker. Her work is represented by Maria Stenfors, London. She has exhibited in over 50 national and international exhibitions and festivals including: `New Work UK - Trust Yourself`, Whitechapel Gallery, London; `Europart - New Contemporary Art from Europe`, Vienna; `transmediale.08`, House of Cultures, Berlin; `Her Fanciful Digression`, Crawford Art Gallery, Cork; `Film Programme 1`, Badischer Kunstverein, Karlsruhe; `Black Box Programme` at the Edinburgh Film Festival.